"It seems to be going well, but to know how competitive it is going to be with the new rules we have to wait for Barcelona," says the sports director. Although better to forget them, those times in which McLaren sold an optimism at times disproportionate to the performance that was going to give his car with his new partner, Honda. Soon their poor results dismantled any theory bathed in unwarranted expectations. But those who infused a false positivism are gone and those who make the Japanese engine are on the other side of the grid. Woking's team has nothing to do with what it was and this is demonstrated by Gil de Ferran, one of their bosses. 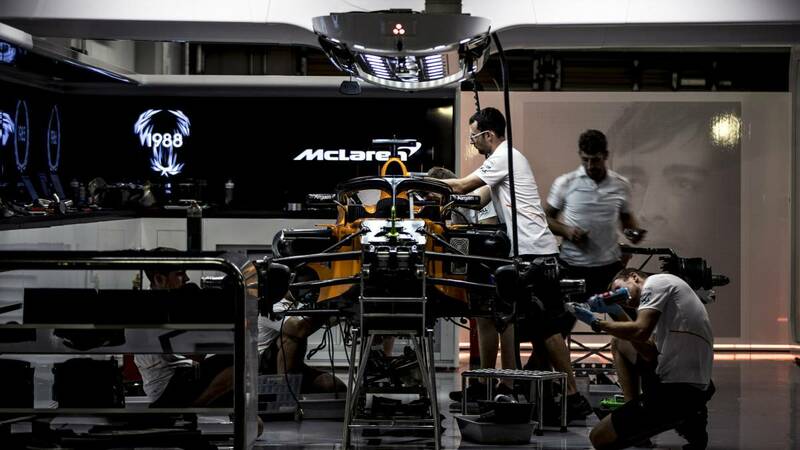 The experience of the past serves as chair to avoid falling into the same mistakes and the sporting director of McLaren does not want to say not a word that escapes the moderate discourse that has been imposed on the development of the next MCL34. "It seems that it is going well, obviously, to know how competitive it is going to be with the new rules, we have to wait and see it in the Barcelona tests", says the Brazilian in statements to As. The objective can not be other than to improve its results of 2018: "We are all working to achieve that goal" . Acabaron last season sixth in the Constructors' World with 62 points, that is the base on which to build taller scaffolding that will gradually bring them closer to the noble area of the grill. Cononán with the help of Alonso in the tests for it? Gil does not give clues: "We do not know yet, we'll see." But what he does is praise the Spaniard after his victory in the 24 Hours of Daytona: "I've always said that for me Fernando is one of the best drivers of the story, and his victory at Daytona underscored that once again, he is an incredible driver. " We must wait to see if Alonso's experience will support the pair of Sainz and Norris, what we do know is that the efforts de De Ferran will not be focused solely on McLaren, but also on the success of Extreme E, the recently presented electric competition of which he is president. "I will not have a role in the day to day life of Extreme E, but obviously I would love to see it succeed, support Alejandro (Agag) and his team with the best of my skills," he says in this regard. First, to improve McLaren and then, the rest.